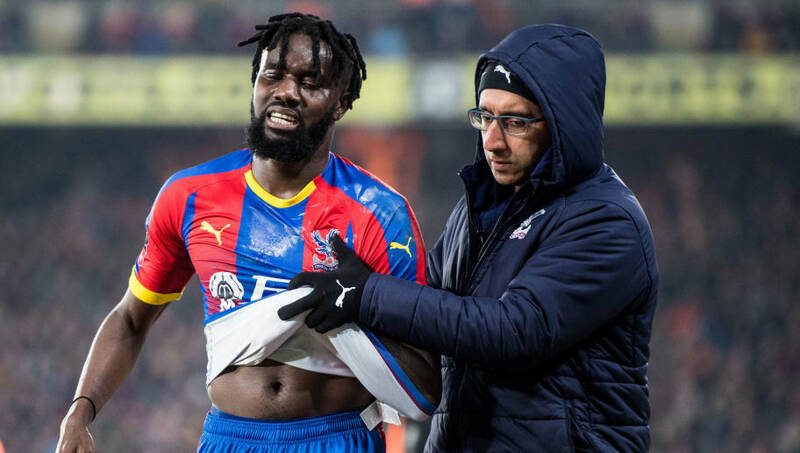 ​Crystal Palace manager Roy Hodgson has said back-up left-back Pape Souare could be facing weeks on the sidelines, after picking up an injury in the first half of their 1-0 FA Cup win over Grimsby Town at the weekend. A late Jordan Ayew winner separated the two sides in a game Palace dominated, but there was little cause for celebration for Souare as he lasted just 36 minutes in his first start since the EFL Cup defeat to Middlesbrough in the summer. Having spent almost a year out after a horrific traffic accident ruled him out of contention in September 2016, the 28-year-old had been working hard to get himself back into the thoughts of Hodgson, who expressed his sympathies for the Senegalese as he faces yet another set back. "I'm really disappointed. I've worked with him now for over a year and he's done so well to get back from a horrendous injury caused by an accident," the manager said in his post-match press conference, as quoted by ​football.london. "For the last year to be frank, from the first moment I came in he’s been out there everyday in training trying his best, getting better and better I think. "Today was the day I was really hoping he would get on the field of play and show what he shows us in training and he would come off the field victorious and happy. "To get injured like that with his shoulder, that was a bitter blow and it was one of those unfortunate things where he was bundled over and of course falling awkwardly and it’s a shoulder injury. "I’m very disappointed for him and I can only hope that he recovers quickly but it's not a minor injury, it could keep him out for weeks." It's expected that regular first choice Patrick van Aanholt will assume left-back duties on Saturday as ​Palace return to ​Premier League action against ​Watford.